Started by two young entrepreneurs in 2010, Tapri is an exquisite ‘tea bar’ located near Central Park. Its rooftop location is an ideal spot for an evening snack and the views of the giant Indian National Flag inspires a sense of pride. 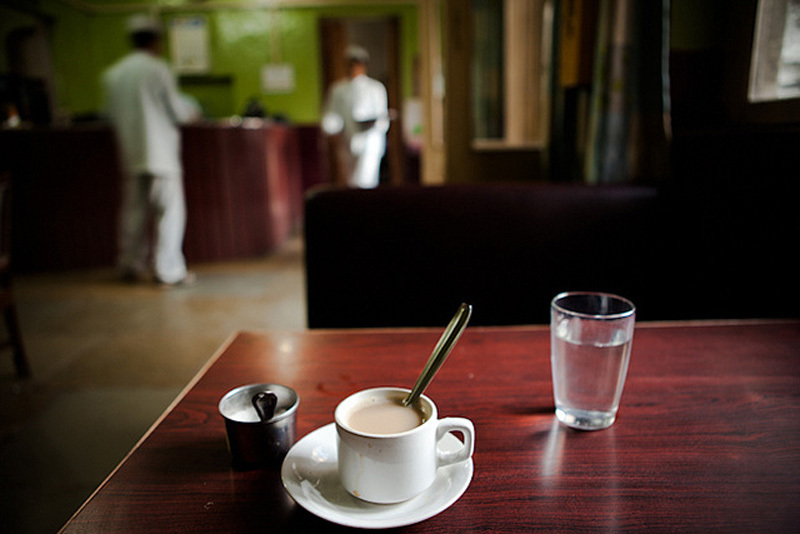 As it is a tea bar, Tapri serves around 100 varieties of tea preparations and includes India and international tea recipes. Apart from tea, the eatery also serves a variety of Indian snacks, often presented with a modern twist to please all types of visitors. Established as a sweets shop in 1950, Laxmi Mishthan Bhandar is famous in Jaipur for its mouth-watering variety of Indian sweets and Namkeens (savoury items). Located in Johri Bazaar, one of its famous recipes the ‘Paneer Ghewar’ is a crowd favourite and is mostly eaten during the festivals of Teej and Gangaur. In 1954, the owners built the state’s first 3-star hotel named LMB, right above the sweets shop. The restaurant is also famous among the locals and tourists and serves a variety of mouth-watering Rajasthani dishes such as Dal-Bati Churma and the Rajasthani Thali. Known for its savory and spicy Pyaaz ki Kachori and the intensely sweet yet crumbly Mawa Kachori, Rawat Sweets has been the primer choice for foodies since the past 40 years. While it started out as a small sweet shop, Rawat Mishtan Bhandar has now expanded into a neat restaurant with air conditioning. Rawat serves a variety of Indian desserts including the iconic rajasthani sweets like Sohan Papdi, Rabri Laddu, Jalebi, Doodh-Feeni, Ghewar and Makhan Bada etc. While the name says ‘Dhaba’, it is indeed one of the best fine dining restaurants you can visit while entering or leaving the city of Jaipur via Sikar road. Sharma Dhaba is famous for its authentic North Indian vegetarian dishes like Dal Makani, Dhaba Dal, Missi Roti, Paneer Butter Masala, Malai Kofta, Sev-Tamatar, Besan Gatta and many more, suited to taste the rajasthani palette. Nevertheless, all the dishes speak of an intricate balance of spices and one must not forget to try the yummy Mawa Naan, which remains their speciality. Located in a crumbling yet majestic building at MI Road, Indian Coffee House is one of the best places in downtown Jaipur to cool your heels after a long day of shopping. While the menu is not for people who want authentic rajasthani food, it serves a variety of snacks and beverages such as Idli Sambar, Dosa, Vada Pav, Egg Noodles, French toast, Milkshakes, Upma and Omelets etc. The building interiors would certainly provide you with a calm old-worldly feeling and the friendly staff would ensure that you get your orders on time. The prices are also some of the most affordable and yet the place remains frequented by both Indian and foreign tourists. If you wish to eat some authentic Rajasthani Dal Bati Churma, then Santosh Bhojanalaya is the right place for you. The eatery is located at the perpetually busy Jaipur Bus Stand at Sindhi Camp and only serves Dal Bati and Dal Roti. A typical Dal Bati Thali comes with a spicy black lentil curry, besan Kadi, cooked vegetables curry, Garlic chutney, Bati and the amazing Churma. While the ground floor area can be extremely crowded during the day time, you can sit on the first floor which is suited for families with air conditioning.